Well, I am actually 17 weeks pregnant as at the scan my due date changed by a day. I now change over weeks a day earlier. 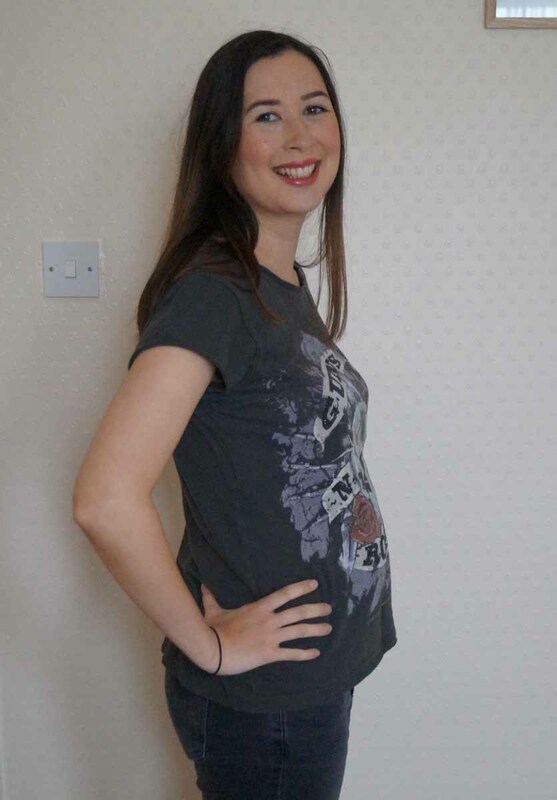 Here are a few pictures of my bump at 16 weeks and my pregnancy update. Annabelle wanted to be in this pic! I’ve gained: I haven’t changed since last week. This means I am still 9lbs (4kg) less than my pre-pregnancy weight (I suffered with Hyperemesis gravidarum, really bad morning sicknessand lost 13lb/6kg). I’m wearing: I have started to wear some maternity under garments but I won’t go into that! 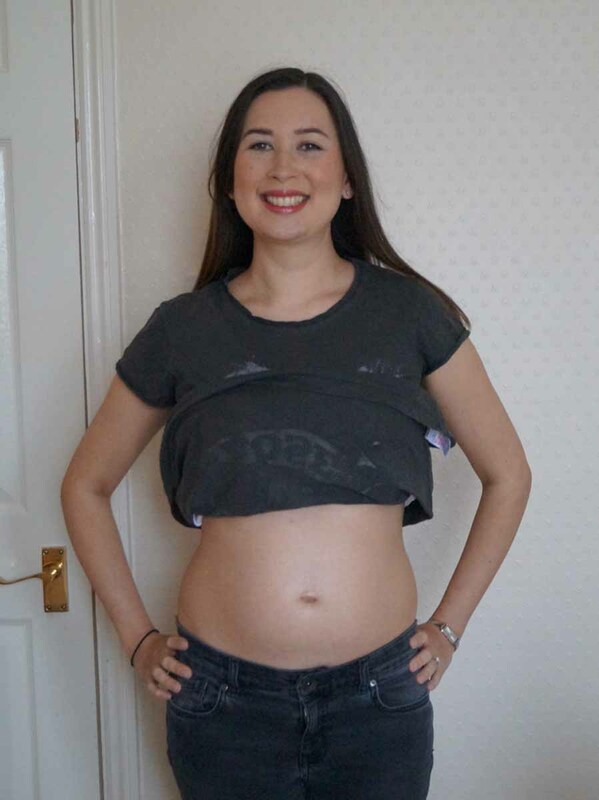 I’m starting to look for maternity jeans online as although my regular jeans are still lose, the button fastening is starting to irritate my stomach especially when I sit down so I would like a pair with an elastic waist band. I’ve seen some really nice jeans in Topshop and ASOS. I will update you on any new clothes I buy. How I’m feeling: I feel tired this week but it has been productive. I’ve done lots of chores and tasks. I don’t think the family has been feeling quite right either as Andy has been complaining about his stomach and I have been bribing Annabelle to leave the house. She has repeatedly turned down the chance to go to the park or to play outside and I’ve really wanted to go to enjoy the sun while it is out. Highlight: Listening to the baby’s heartbeat with Annabelle at my midwife appointment. I asked her what the sound was and she said ‘Baby’. A very proud moment. The baby is: The size of an avocado which I think is quite odd as it was compared to an apple last week so I’m not sure how it is comparable size wise. I can definitely feel it moving lots but this baby doesn’t seem to want to respond to Andy yet. With Annabelle she loved her dad’s voice and touch and would always move for him but this baby seems to wriggle a lot when Andy isn’t around. It feels like a lot of prodding from the inside and it’s only in the last few days that I can feel it on my hand when I touch my tummy. Food cravings: Salad, salad and more salad! Especially with Haloumi cheese. 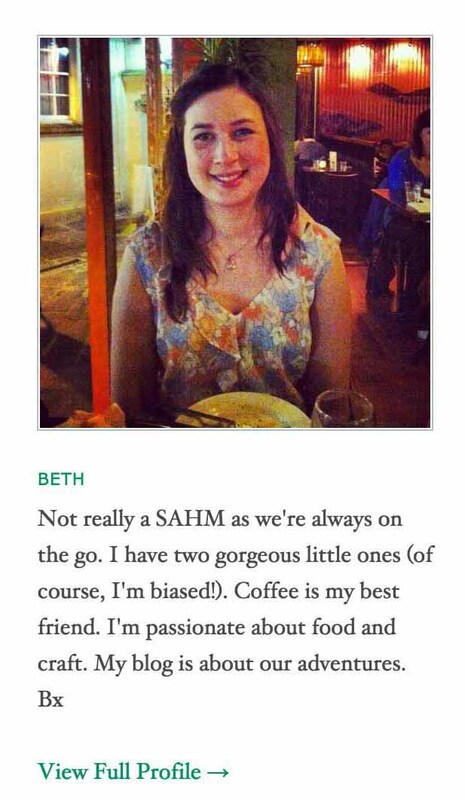 I’ve also fancied salt and vinegar Pringles and coffee, both hot and cold. Symptoms: I’m supposed to be glowing but I have actually been spotty and seem to be really dehydrated too so I’m trying to drink lots of water and I guess the salad is helping as I only seem to have a couple of spots when normally if I have a breakout I get loads of spots. 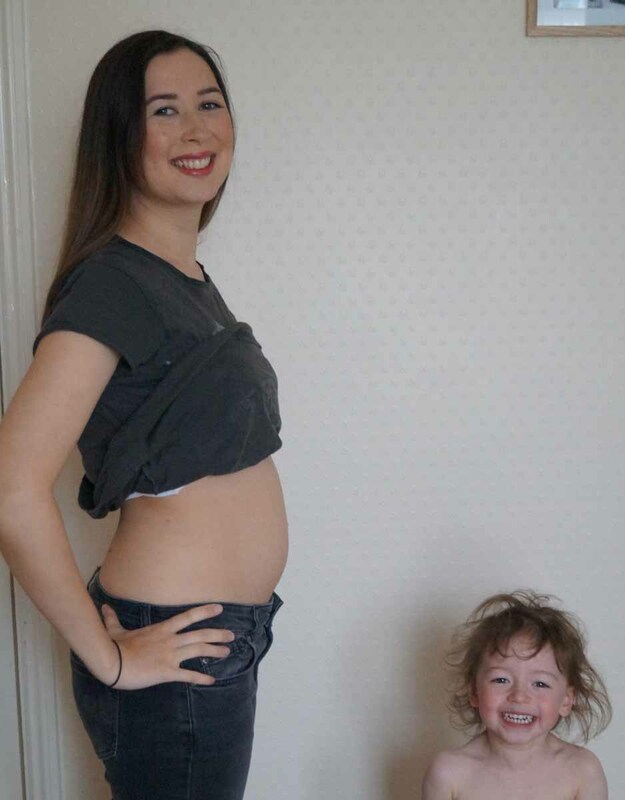 My body: I don’t feel particularly big in terms of my bump and I did get some confused looks when I was enquiring about maternity clothes in Topshop. Apparently the assistant didn’t think I was showing. My stomach also feels like it has had its growth spurt and is pretty stable now as there is less tightness but as I mentioned earlier it is uncomfortable if I wear button fastened jeans. Any mood swings? Another regular week on this front. I feel pretty normal. Still want to buy lots of things but I guess a lot of it is necessary and I’m doing well to resist impulse purchases like lipsticks. I’m looking forward to: Date night with the hubby. We have a toddler-free massage and Spa session booked in. Soo exciting.